720 Estero – 5 STARS. This is the perfect location and the perfect home! It is two units so easily accommodated our large group. You are 62 steps from the ocean, can see the gulf from the deck and the hot tub! 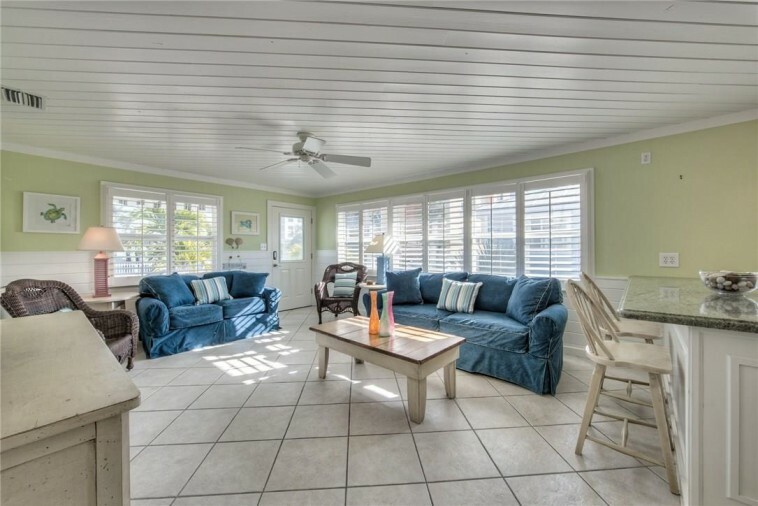 Sit on the front porch and watch all the action of Estero Blvd, sit on the back and watch the waves. The house has everything we needed. We grilled a couple nights and walked to the square the other nights. You really don’t need a car at all if you can get your groceries there. I had Amazon prime deliver all of my essentials so they were there waiting upon our arrival (sunscreen, TP, snacks, shampoo etc.) Plenty of beach games for teens and kids to play. Lots of chairs available also. We were able to park 3 cars also. Fantastic location and a wonderful home.